Our Business Technology Solutions get measurable results! Before we even mention technology, let's talk about your end goals and the business processes you currently have in place today. 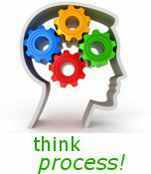 To reach those end goals faster, process needs continual improvement. These improvements will reduce cost in your operations, and enable growth in top line revenues. Now let's talk about technology. Your ability to make data-driven decisions is vital. Business future is clear. It centers on Web. Can you see it? The Internet is the primary junction connecting your company to Customers, Employees, Partners, Suppliers, and the Public. Does your business process leverage advantages the Internet offers? The Internet has radically changed the speed of creating, sharing, receiving and storing information. Our Services power your Web Strategy. RidgeGarrett offers a wide array of Services to help you ensure business processes stay on track. We'll tailor a plan that meets your specific needs, and be flexible to make adjustments along the way as you continue to do business better, faster, and more cost effective. Realistically, the Services you need today should be somewhat different than what you'll need a year from now. Software must enable Business Process! All our commercial Open Source Apps (OS Apps) include very powerful, built-in capabilities "right off the shelf". This is a major benefit of using OS Apps, the capabilities just keep getting better and better with each subsequent update by the OEM! Updates made by OEM vendors to their software applications are incorporated into your own instance by RidgeGarrett.